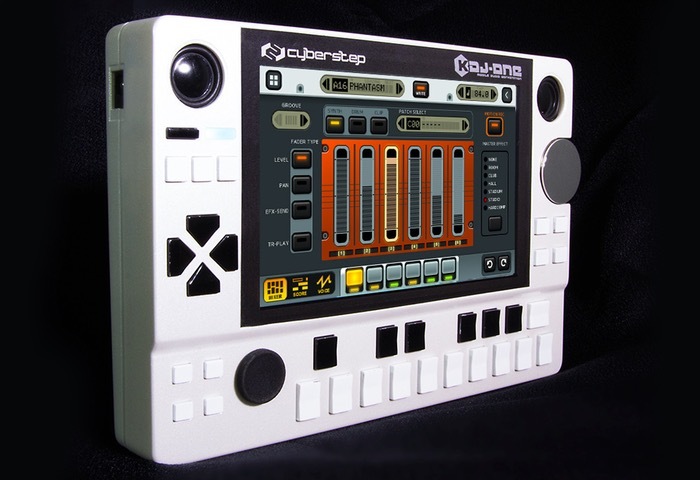 CyberStep has this month unveiled a new portable music studio in the form of the KDJ-ONE they have created, which offers a handheld all in one music production system which is capable of supporting the needs of beginners and professionals alike. Watch the video after the jump to learn more about the KDJ-ONE portable music studio project and see it in action and when compared to the OP-1 offers a range of new features. “The KDJ-ONE is more than capable of creating music from all sorts of genres. Whether you’re interested in making game music, chiptunes, dubstep, hip-hop, or any other kind of EDM, the KDJ-ONE will handle it all. We’ve partnered up with a number of artists to provide exclusive tracks, preloaded on every device! Scroll down for sample presets! The KDJ-ONE project is currently over on the Kickstarter crowd funding website looking to raise $100,000 in pledges to make the jump from concept to production. So if you think KDJ-ONE is something you could benefit from, visit the Kickstarter website via the link below to make a pledge from $395 and help KDJ-ONE become a reality.